White balance is one of those adjustment tools that we sometimes forget that we need. Then when we use it, we go, "Oh wow, that does look better." I think in large part this is because digital cameras tend to record portraits a bit on the cool side. In other words, skin tones can be slightly bluish. We typically don't think about this much, that is, until we adjust those tones with the White Balance tool and compare the difference. 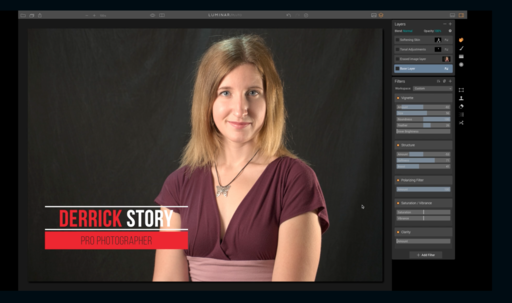 In the following 5-minute video, I walk you through the White Balance tool in Photos for macOS. It's not included in the default adjustments panel, so it's often overlooked. 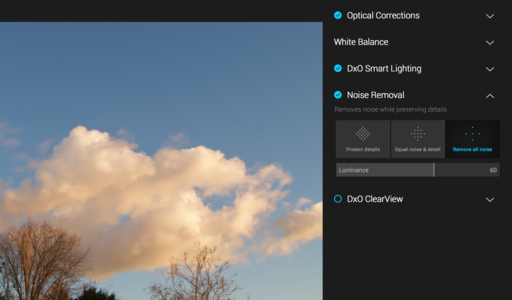 I begin by showing how to enable the adjustment by going to Add > White Balance in the Adjustments panel. Once you enable it, I recommend that you keep it in your default set of adjustments by going back to Add, then choosing Save as Default from the popup menu. Now that White Balance is available, here are some tips on how to use it. Indeed, a White Balance adjustment can be a subtle improvement for an image. But it's often those subtleties that distinguish a good photographer from just an average one. 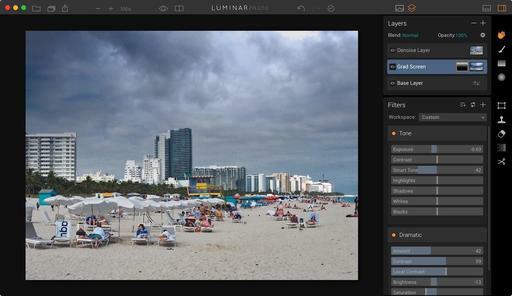 There are two basic ways to tap the power of Luminar. One is to use is as a standalone app (and there are advantages to that). Or you can tap its power as a plugin/editing extension (Lightroom, Photoshop, Photos for macOS). When would you choose one over the other? The primary reason for going the standalone route would be if you wanted to go back and fine tune a layered document. I explain exactly how this works in the following video. Most of the time I'm using Luminar as a plugin/editing extension. But for my special projects, I go the standalone route so that I can continue to refine the image without any loss of quality. This is particularly fun for ongoing projects. Luminar, super-charged photo software for any Mac photographer (standalone version plus plugins and editing extension). Vivid Wonderland Luminar preset pack. Pose like the Pros: Family Photos - eBook. 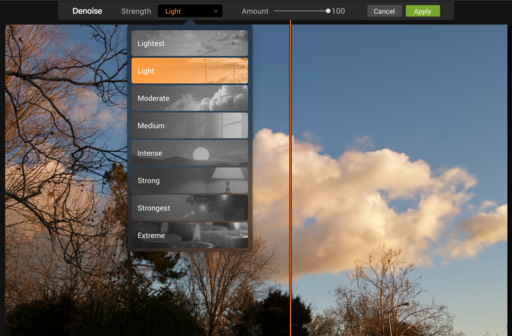 Creative Sky Overlays (include 166 Color Sky Overlays, 69 Landscape & Ocean overlays). 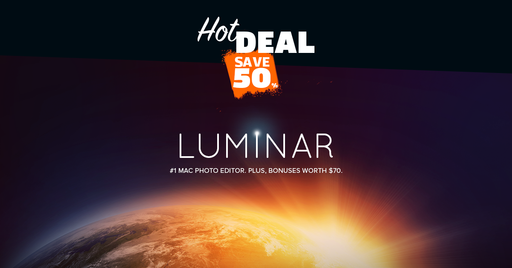 In addition to this special offer of Luminar plus bonuses for only $69 (total value $139 Savings of 50 percent), I can save you another $10 if you use coupon code: THEDIGITALSTORY at checkout. That lowers the price for the entire package to $59. With this offer, you get the standalone version of the app, and all of its plugins, including for Lightroom, Photoshop, and Photos for macOS. 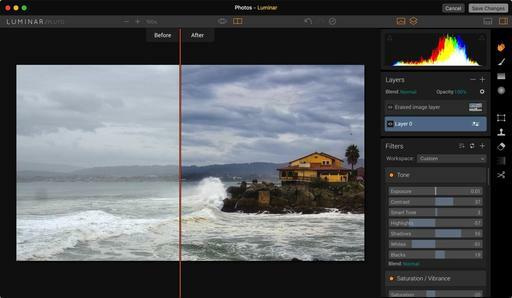 This gives you maximum flexibility in how you use Luminar's powerful editing tools. I'm having a blast editing my images with Luminar. I hope you give it a try. I met Frederick Van Johnson last night at Oracle Arena to take-in a Warriors game. At one point he said to me, "What's missing here?" We both looked at each other, and neither had a camera other than our iPhones. "Times have changed, haven't they?" 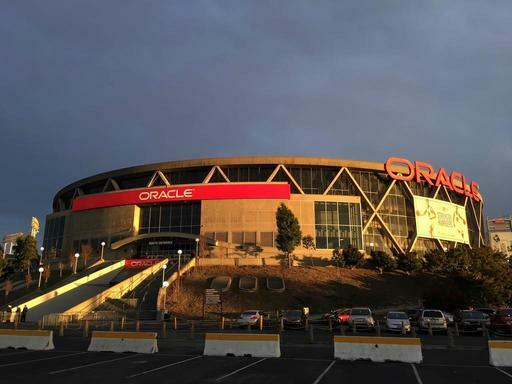 Oracle Arena at Twilight. Photo by Derrick Story captured with an iPhone 6S and processed in Photos for macOS with Luminar editing extension. Obviously, I still shoot with dedicated cameras most of the time. But there are those moments, such as going through security at Oracle Arena, where just having an iPhone is so convenient. 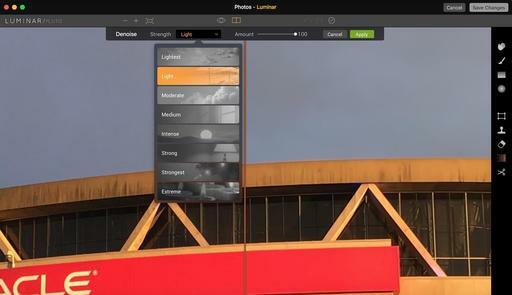 The noise reduction tool built into Luminar. All I have to do is open the shot in Photos, then choose the Luminar editing extension. Its noise reduction tool provides many options allowing me to apply just the right amount. Plus, it puts the adjustment on its own layer. Nice. I then save the image, and it appears back in Photos, and it's shared across all of my devices. 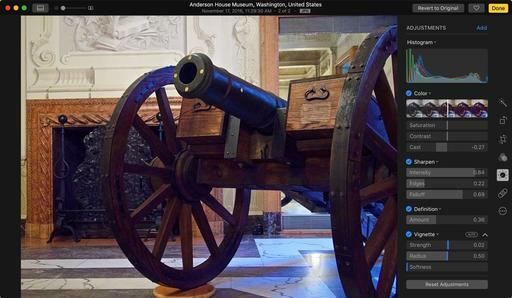 The process is totally non-destructive, so I can view or revert to the original at any time. And having a robust noise reduction tool to complement my iPhone photography makes it that much easier to travel super light, yet still capture important moments as they present themselves. One of the features that I miss from Aperture is the ability to customize the decoding of my RAW files. 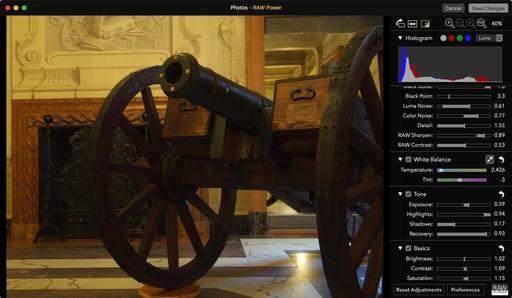 Now, thanks to the $10 editing extension (and standalone app) RAW Power, I have those tools again. And they are wonderful. The key to this app is the RAW Processing panel, that gives me control over the actual decoding of the RAW file. I purchased RAW Power from the Mac App Store, then tried it as a standalone. I usually do that first with editing extensions to make sure everything works OK. And indeed it does. I so enjoy having control again on how software interprets my RAW files. 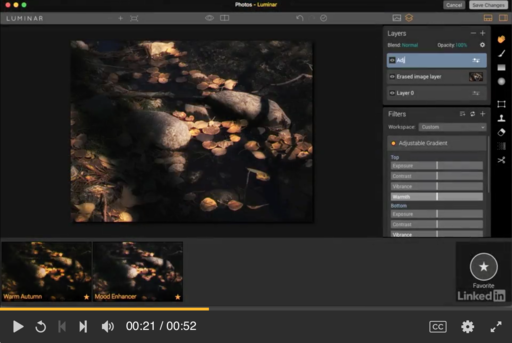 The key to this editing extension is the RAW Processing panel that contains all the sliders you need to customize the file's decoding, including the ultra-cool boost sliders. Getting these adjustments just right makes everything that follows so much more effective. I then fired up Photos for macOS and used RAW Power as an editing extension. Same controls, same wonderful results. This file, for example, was captured in existing light with an Olympus TG-4 compact camera. Yet, I was able to take that RAW file and make it shine. Compare the decoded top image to the original (without RAW Power processing) below. Original file before decoding with RAW Power. 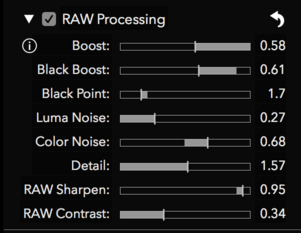 RAW Power does include plenty of adjustment tools too, such as shadows/highlights, curves, white balance, and sharpen, just to name a few. So after you decode the file, you can spruce it up a bit too. 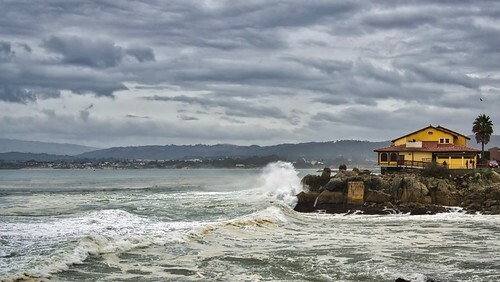 But my workflow has been to get the basic image in good shape, then return to Photos for finishing touches such as color cast, vignette, definition, and sharpening. Now for the finishing touches in Photos for macOS. RAW Power is a wonderful addition to Photos, as well as a strong standalone app. 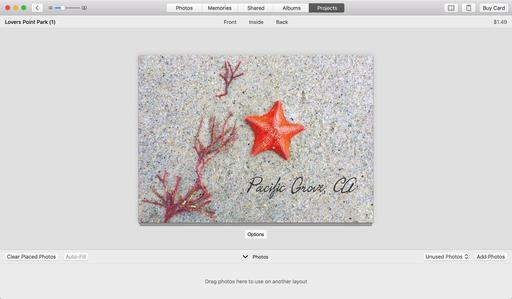 Most of the files that circulate through Photos for macOS are Jpegs from my iPhone shooting. But I do have a surprising number of RAWs also, especially from the Olympus TG-4. How wonderful to finally have a set of pro tools to work on them, and have the results automatically shared across all of my devices.